Logically absurd extreme: It’s a movie about people auditioning for a musical about people auditioning for a musical. It’s also about the 30-year history of A Chorus Line, and it’s only in bringing those two elements together that directors James D. Stern and Adam Del Deo get a bit tripped up. Most of the action follows the casting process for the 2006 Broadway revival of the production, with a handful of prime candidates for the lead roles becoming the focal point. Director Bob Avian (who choreographed the original 1975 production) and choreographer Baayork Lee (who originated the role of Connie) sift through the hopefuls, and there’s undeniable reality-TV-esque drama in watching them alternately nail readings and find themselves flailing during their one big shot. 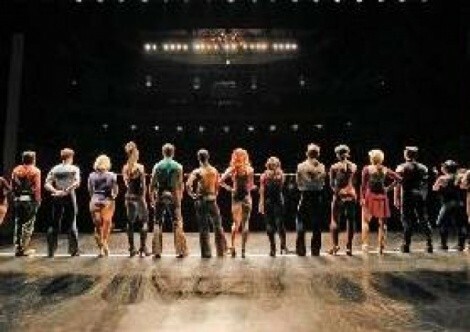 There’s also plenty of fascinating background material for those who know and love A Chorus Line. The filmmakers play the original conversations recorded by the late Michael Bennett in January 1974, showing how closely the script ultimately stuck to the real-life stories of Bennett’s theater friends. Composer Marvin Hamlisch gets to drop some entertaining trivia, including the title change that allowed the song that became “Dance Ten, Looks Three” to preserve its punch line. And maybe you didn’t know that a crucial tweak after previews gave one of the show’s most beloved characters a happy ending. But, do the two halves make a great whole? Not necessarily. Stern and Del Deo simply flip back and forth between their back story and the contemporary auditions, leaving viewers to fill in the blanks that these dancers are the latest to live the what-I-did-for-love lives made famous by A Chorus Line. Both elements offer their satisfactions, even if the combination isn’t a singular sensation.